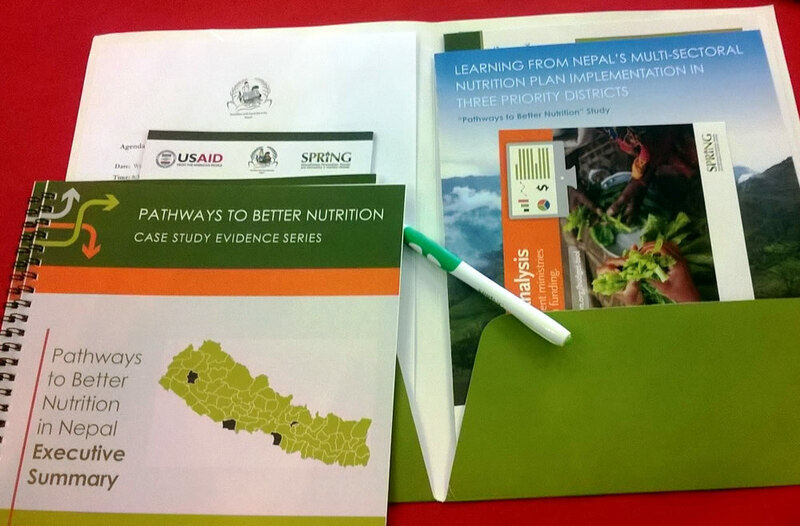 SPRING held three district-level dissemination events in Nepal to present results from the “Pathways to Better Nutrition” (PBN) Case Study, which focused on Nepal’s implementation of a National Nutrition Action Plan: The Multi-Sector Nutrition Plan (MSNP). 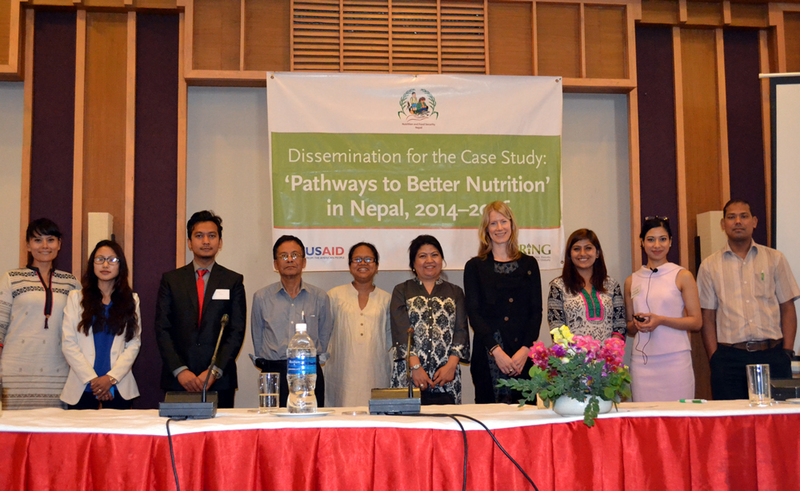 The PBN study was supported by the National Planning Commission of Nepal and its nutrition secretariat. 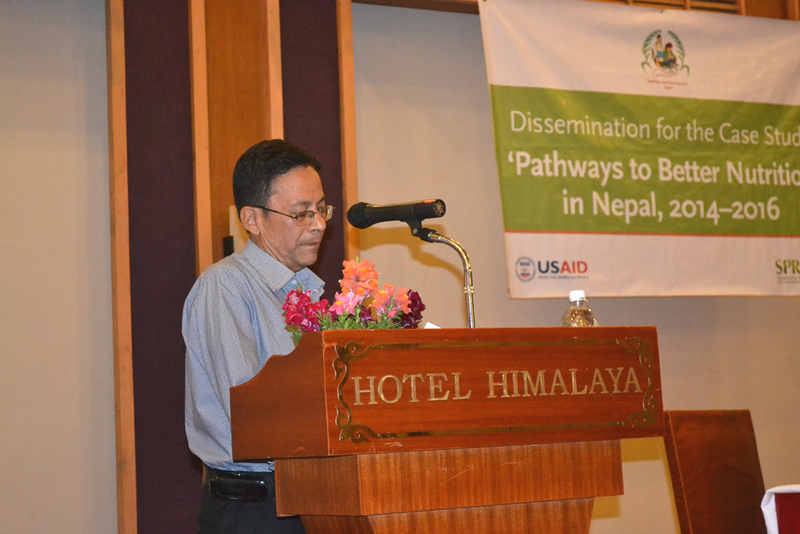 Madhukar B. Shrestha and Dr Monica Biradavolu presented for the PBN team at the district-level dissemination events, held in Parsa, Kapilvastu, and Achham. SPRING visited these three districts, as well as one VDC in each district, in early 2015 to collect data on their experiences rolling out the MSNP. Each event was attended by about 30 people, representing government, donors, and civil society organizations, members of the press, and representatives from SPRING and HKI. 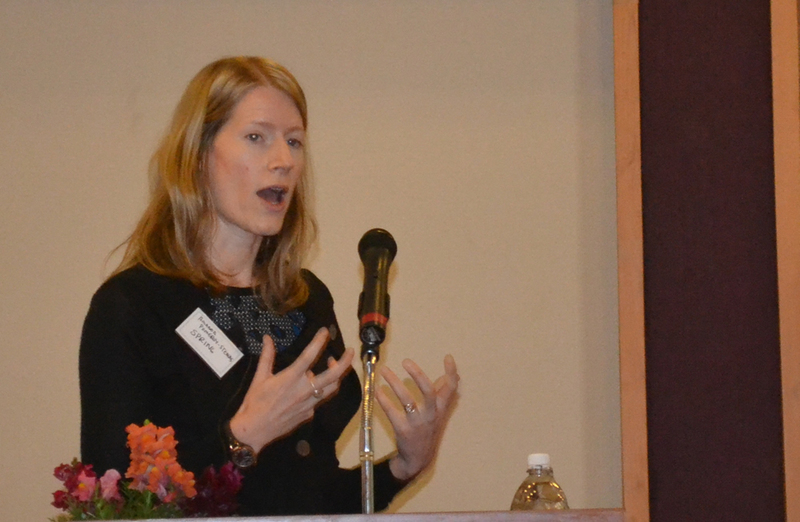 Many of the key informants involved with the study attended these events and showed great interest in the findings. Findings were generally well received. 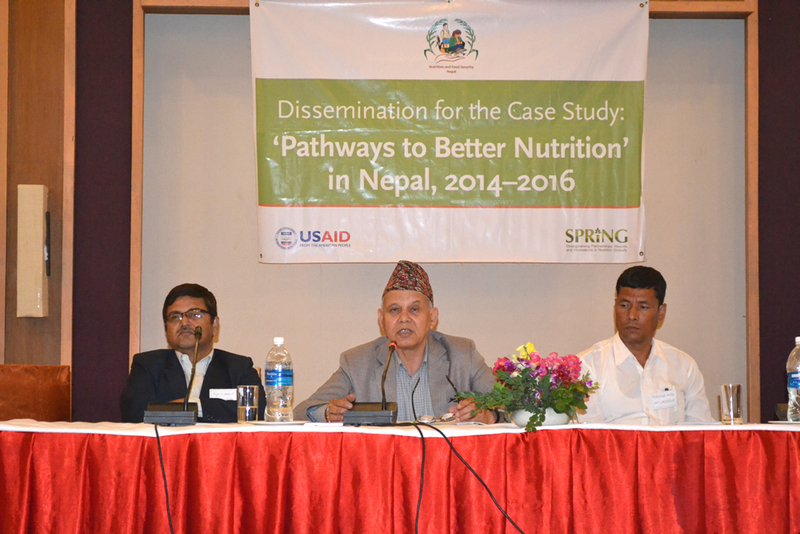 SPRING stressed that a main objective of the PBN study was to better understand stakeholders’ views on the MSNP, which was achieved. 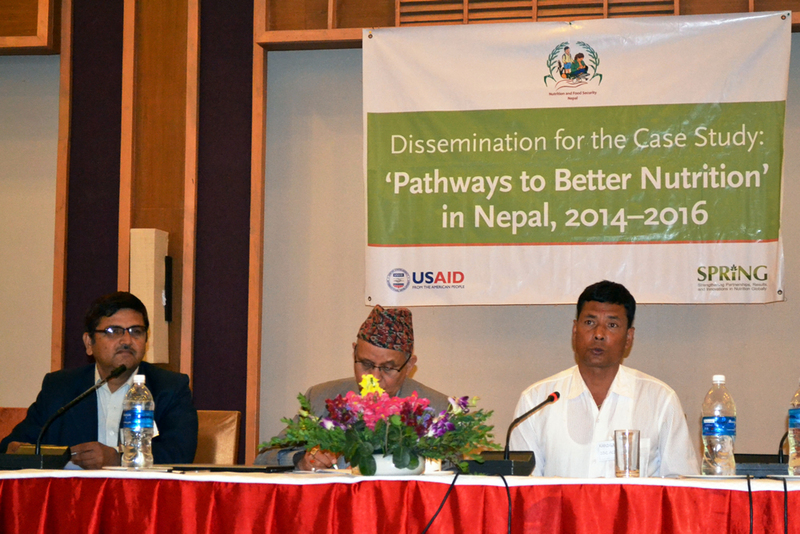 These district-level findings complement the larger PBN study findings at the national level in Nepal. 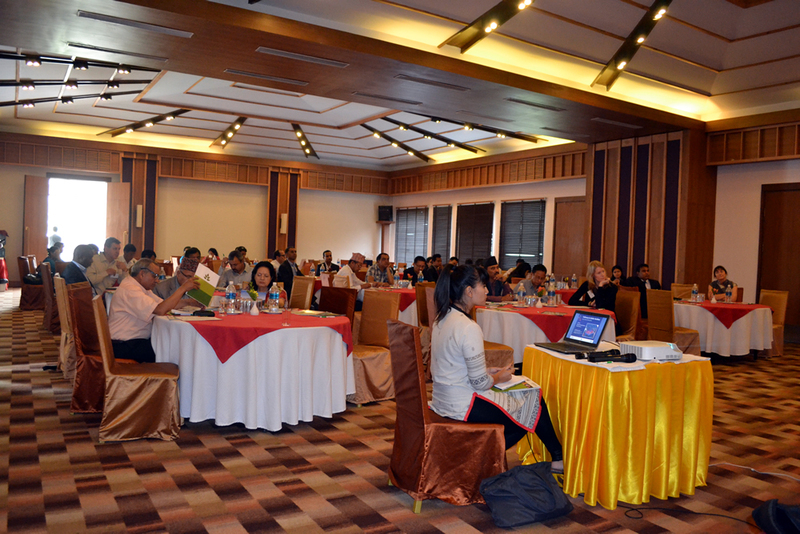 Participants at the events discussed ways to make MSNP implementation more effective for their context and overcome some of the barriers found in the study. In Achham, members of the VDC said they had not had meetings since last year, and they did not have a strong understanding of the MSNP. They wanted assistance from the district for the roll-out and wanted the MSNP to be implemented in their district. 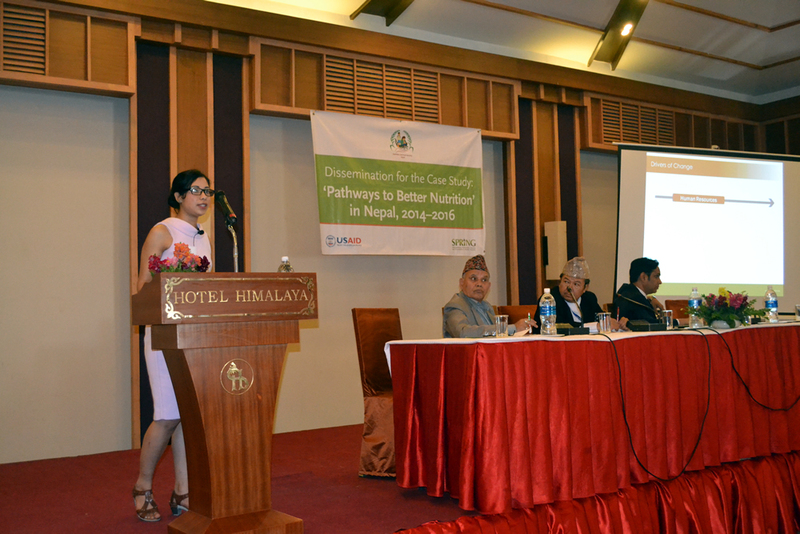 Participants emphasized the importance of bottom-up planning and the need for organized, rather than ad hoc, plans. 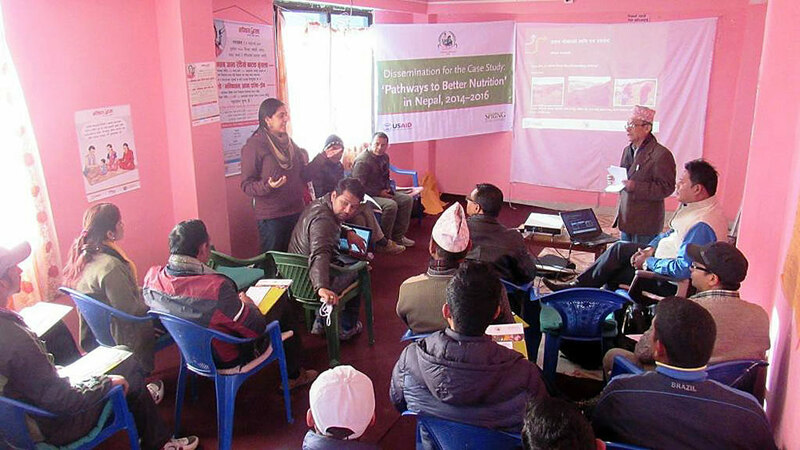 At both the district and VDC events, participants highlighted the difficulties of travel between districts and within villages due to poor or non-existent roads, and fuel shortages. 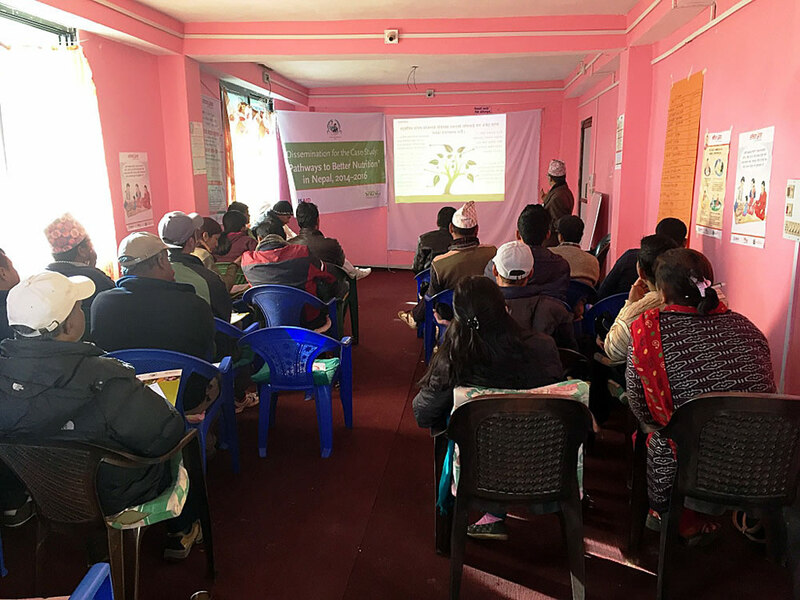 In Parsa, Bishwo Prakash Aryal, LDO and Chairperson of DNFSSC, noted that while the results of the case study have shown improvements from past conditions, and understanding of MSNP among locals appears to be good, much work still needs to be done. He called for more integration of activities between the government and NGOs, more take up of nutrition by the local communities, and greater social mobilization. 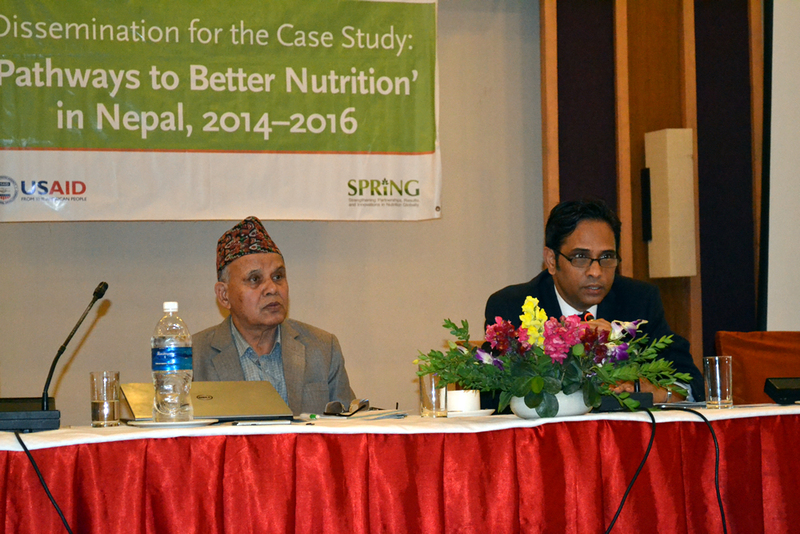 Participants in Kapilvastu thought the study findings could be used to make future MSNP implementation more effective As one participant said, “We’ve heard about this [MSNP] but it needs to be implemented.” They recommended increasing coordination among sectors and said that the nutrition budget needs to be allocated. 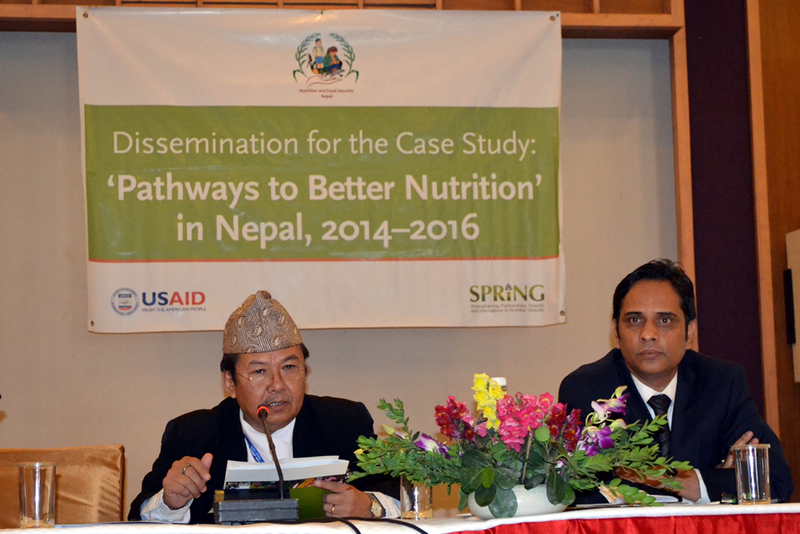 In addition, media persons ought to be trained about the MSNP to help strengthen materials and available information about nutrition. 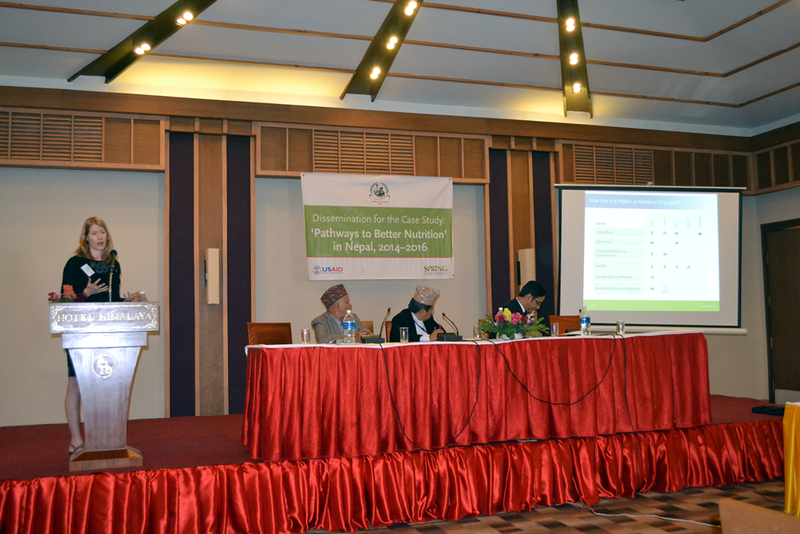 During the Kapilvastu event, Mr. Min Raj Gyawali, nutrition program officer at the National Nutrition and Food Security Secretariat, pointed out that the MSNP is not simply an activity; rather, it is intended to be a long-term plan for the Government of Nepal. He said that an investment in nutrition never goes to waste. 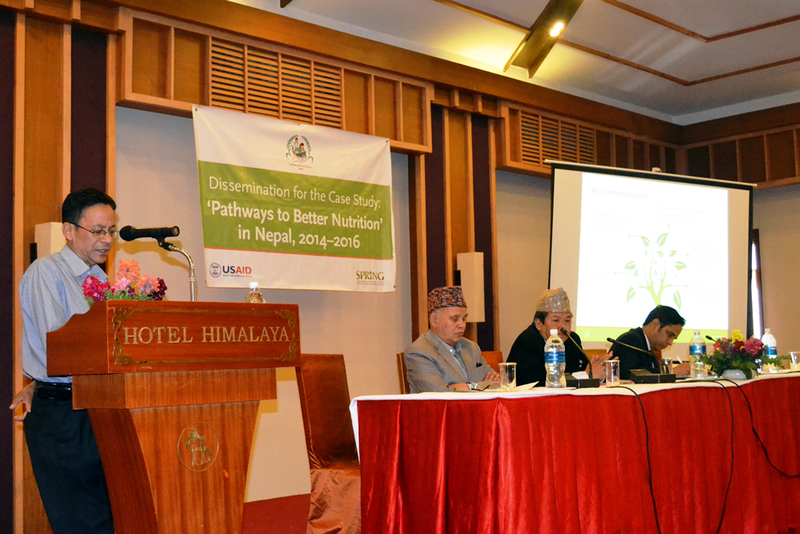 Read more about Nepal's Multi-Sectoral Nutrition Plan Implementation.